Batman makes an unlikely alliance with Silver Monkey to escape from the League of Assassins. Meanwhile, Katana, Alfred, Lieutenant Gordon, and Barbara take action as Ra’s al Ghul’s attempts to cleanse the city during the blackout has left it terrorized by “the Ghosts” and other criminals. After the mid-season cliffhanger, we return to Gotham in a state of panic. With Ra’s al Ghul’s forces having used the Iron Cortex to shut down Gotham and Batman in no position to help Gotham, all looks doomed. This episode gives us a brief recap of what has happened before going straight into the action. Opening with Ra’s confronting Batman and suggesting he joins The League of Assassins sets the tone for this episode. The scene shows the great difference between Batman and The Demons Head which is that Batman is not morally corrupt unlike Ra’s. Ra’s will do anything for power as is demonstrated at the end of the episode. The plot continues the arc set up in the previous episode and manages to keep the tension going throughout the story. 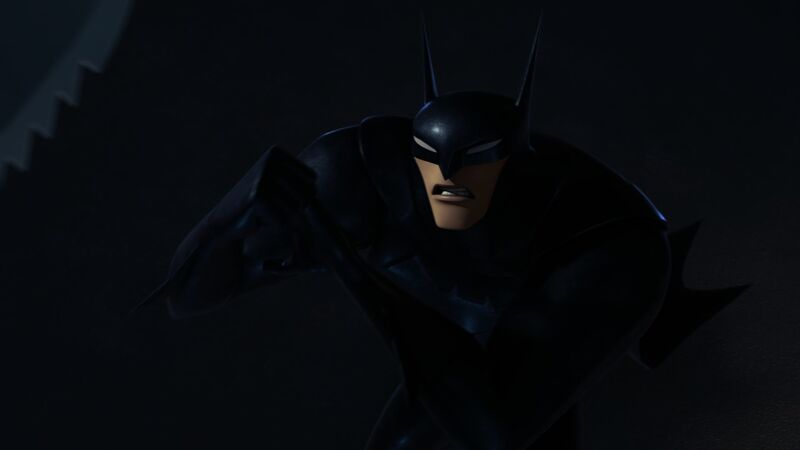 Even though this episode does not feature the final confrontation between The League of Assassins and Batman we still feel excited and connected with the story and the quick action and strong writing of the episode makes the audience want to continue watching.